Riane Roldan, 21, always knew that she wanted to share stories and make people feel something they never felt before. Through journalism, she has done just that. Born and raised in Doral, a suburb of Miami, Riane grew up a curious person, wanting to know everything about everything. She created opportunities for herself, attending the Honors College at Miami-Dade Community College, where she served as the arts and entertainment editor at the award-winning newspaper, The Reporter. While at Miami-Dade, Riane got to explore more of the city she loved but in a different light. She witnessed the reality of the conditions that people were living in. She realized, she said, just how much others in her community lived in a bubble, which influenced her decision to cover social justice issues. Now on a full scholarship at Emerson College, Riane is navigating life in Boston, where being aware of her identity as a Latina, she said, is increasingly important. As the incoming news editor of Emerson’s weekly newspaper, the Berkeley Beacon, she is conscious of which stories are getting told and making sure that voices that have historically been unheard garner the attention they deserve. The accolades Riane earned as a student journalist affirm her skill and talent. 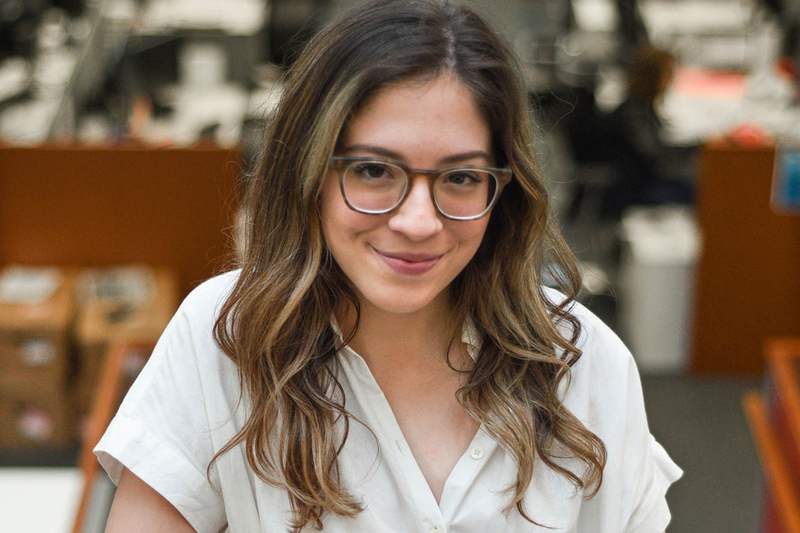 She has won two first place awards at the Florida College System Publication Association, she reported for the Medill Social Justice Project, and she was elected by the National Association of Hispanic Journalists to cover the Hispanicize Conference. Riane takes pride in an ability to make complex issues understandable to everyday readers. Recently, she has found an interest in business and financial reporting, learning more about how economic and business factors affect communities of color.